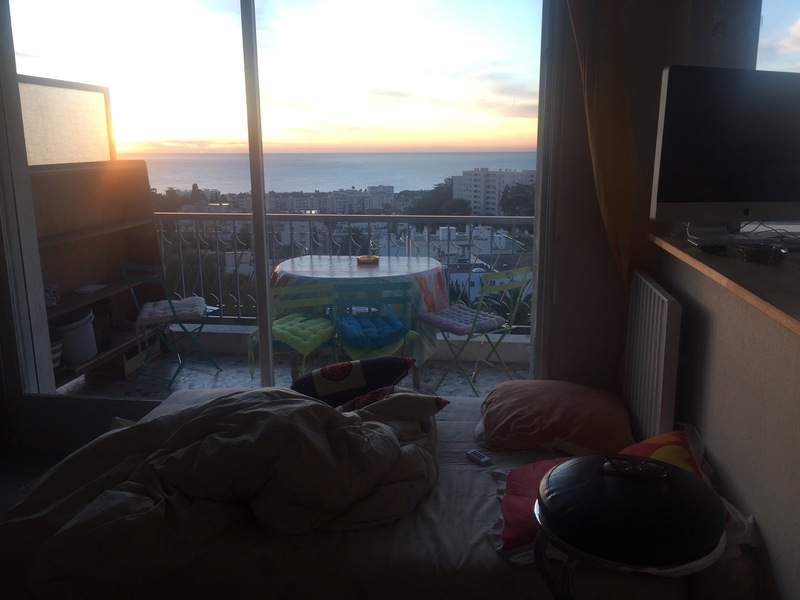 When I watched the sunrise through my bed’s glass window on Thursday morning, I could not believe I was already in France, my dreamland. I started learning French at 11 and fell in love with the country since then. I still recalled practicing conversational phrases for hours in front of the mirror, hoping they would come in handy someday if I ever get to see France. Years later when I watched ‘Perfume’, I even imagined myself tracing back the life story of Jean-Baptiste Grenouille — where he was born, which villages he had traveled through and created hundreds of perfume recipes, and where he vanished into dust. But that was not all. As a young girl I had endless dreams about the South of France, the tiny charming villages up on the hills, the vineyards, the French Rivera, the lavender fields, the old towns and little crooked streets.That is the reason why I dedicated 10 days of my Europe trip to the Provence-Alpes-Côte d’Azur region, and Nice is my first stop. I’m not in a hurry. I have no specific plan here. May be I’d just stroll along Côte d’Azur and get tanned a little bit. May be I’d hop on a train to Cannes and visit Mongis where Paolo Picasso used to live. May be I’d try climbing mountain or just find an outdoor cafetetia in the Old City and write blog. I would chill here for a couple of days here before I head to Marseille and the marvelous Aix en Provence.